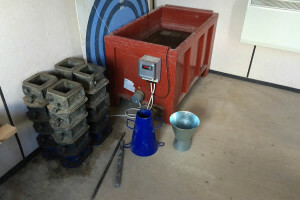 Gem Mix now undertake their own concrete sampling and testing. We now have facilities and technicians to take spot samples of concrete to test from site. The samples are then tested by a third party laboratory, this facilities are primarily used for our own testing regime but can also be offered to customers at competitive rates.